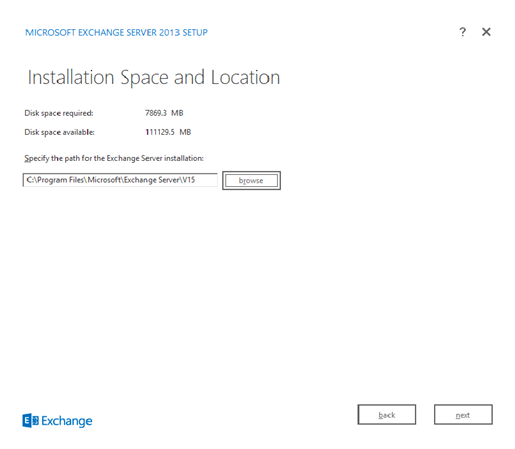 This guide shows you how to install Exchange 2013 step by step. 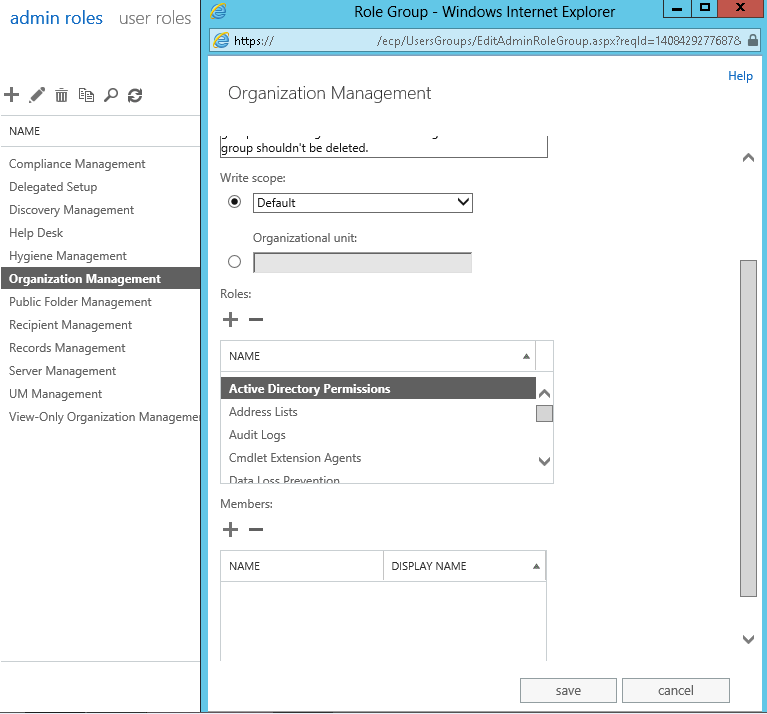 It shows how to configure Active Directory and create a DAG with its network requirements. 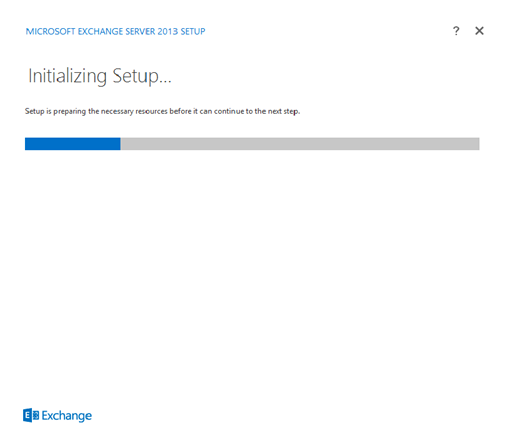 Prepare & Configure Active Directory. Network Setup/Preparation for your DAG. Monitoring Queue and DAG Status. User Account member of the Domain, Schema and Enterprise Admins Groups. Create a CNAME record for Autodiscover that points to your server. FQDN will be the full name in the forward lookup zone you added the CNAME in. for example, if it was domain.com then autodiscover would be autodiscover.domain.dom. 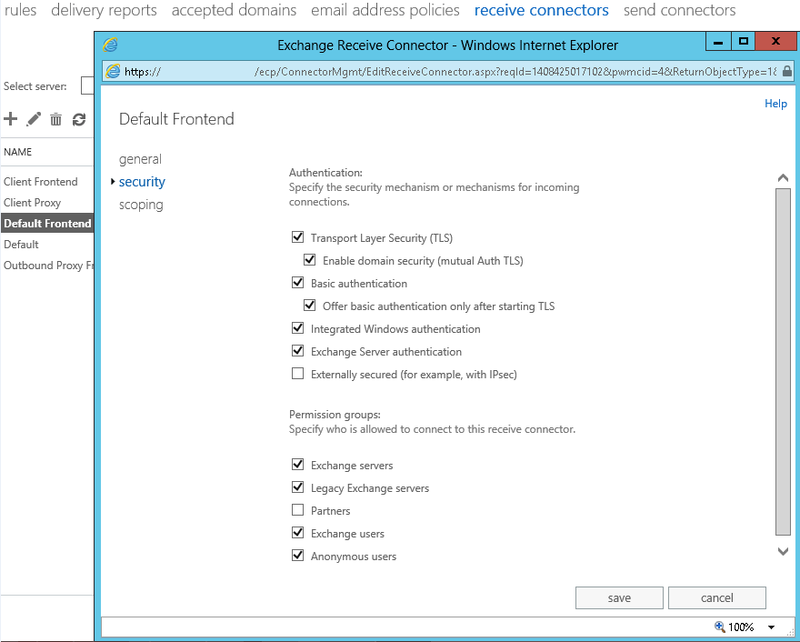 FQDN for Target host is your primary exchange server. 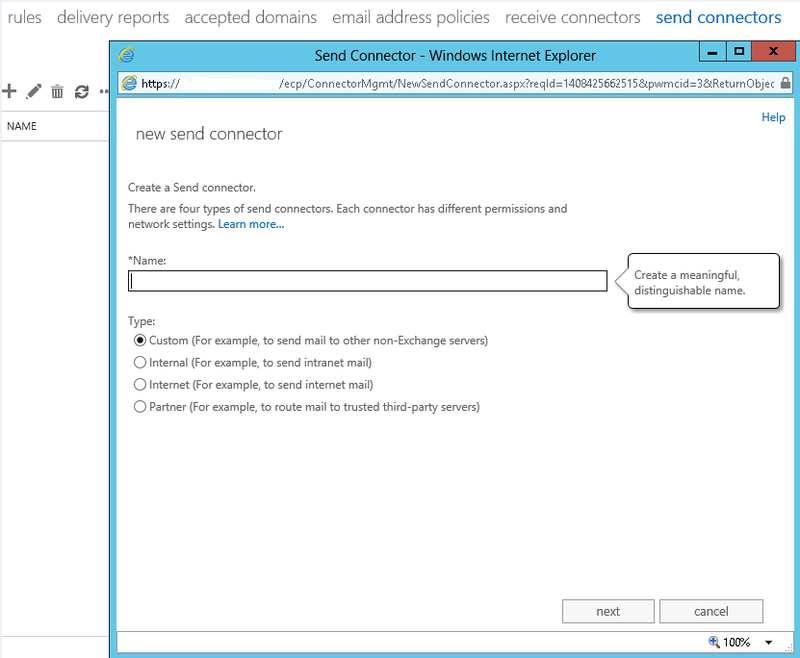 Create an A record that will point to your public IP for that exchange server. Once the above features have installed restart your server. Open up an elevated command prompt and run the following commands. **Replace E: with your own drive letter. Open up ISO that you mounted and double click the Setup File. Always run the setup “As Administrator”. 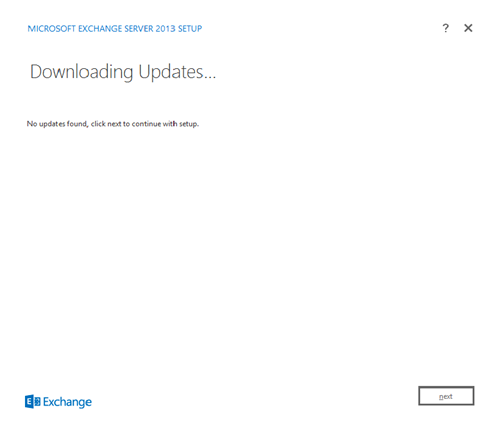 Select whether you want to download updates and then click the Next. If any updates are found it will list them, no updates found in this setup, click the Next button. 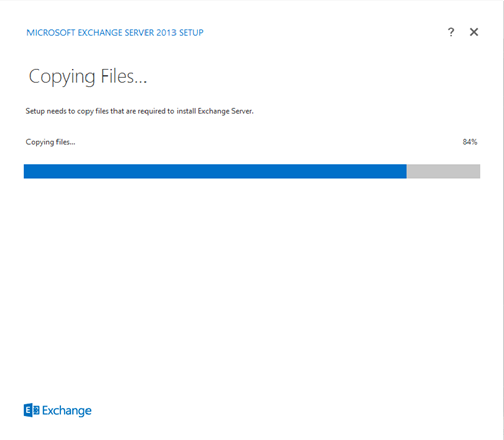 Exchange setup copying files, wait for it to finish. Introduction page, click the Next button. Make your choice, this installation we went with the default settings. Click Next. 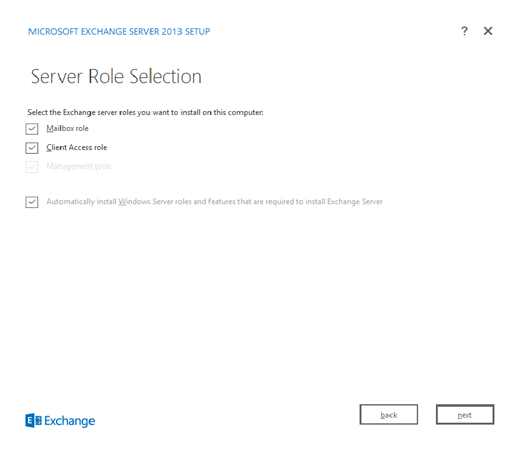 Select the roles you want to install, in this installation all roles were chosen. Click Next. You can accept the default location or click Browse change the install location. Once done click Next. 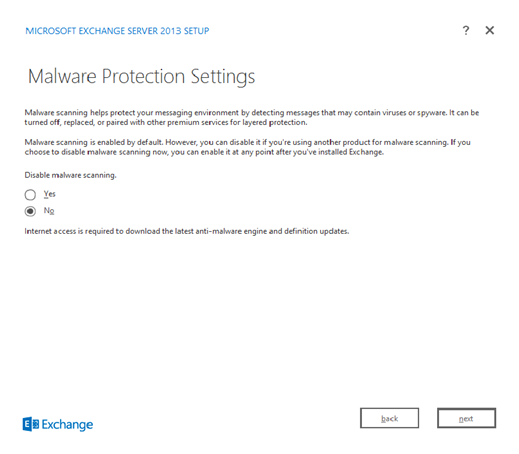 Malware settings left on, you can make your selection here and then click next. 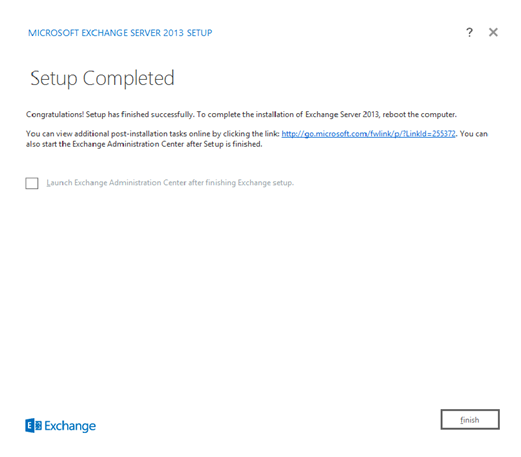 Once the readiness checks are complete, click on the Install Button to start the Exchange 2013 installation. 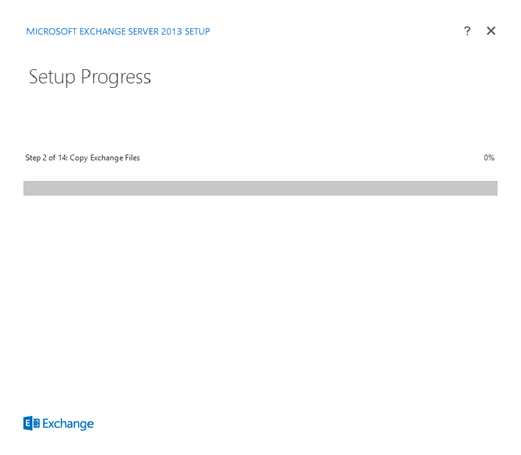 Exchange 2013 setup has 14 steps to complete. This can take a little while. Once the installation is complete you will see the screen above. 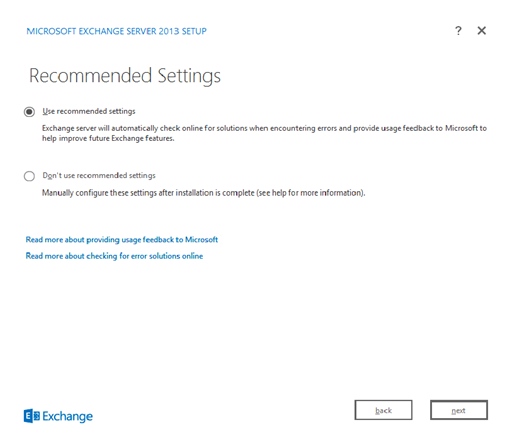 You can launch the Exchange Management Center by selecting the checkbox. I recommend rebooting the server. 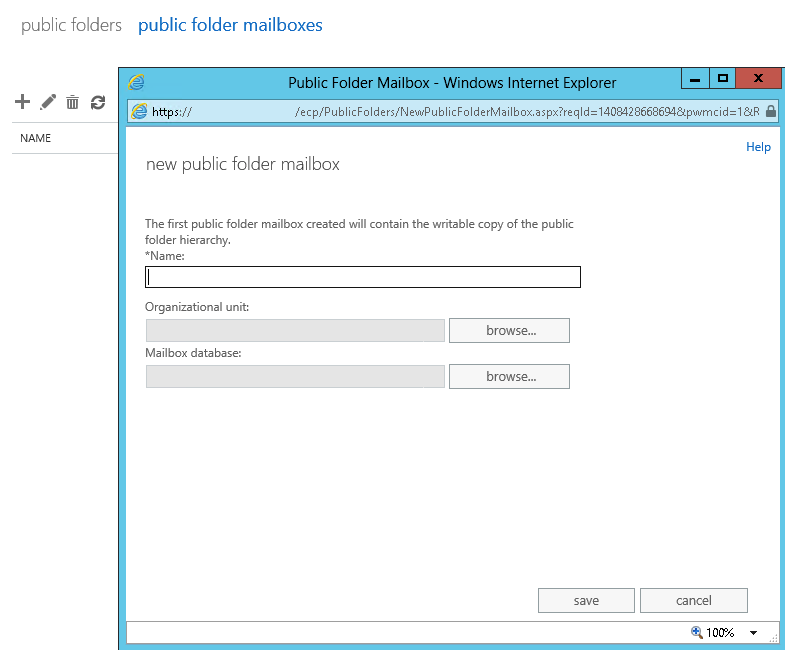 Create a DAG, Add servers to the DAG, create mailbox copies. 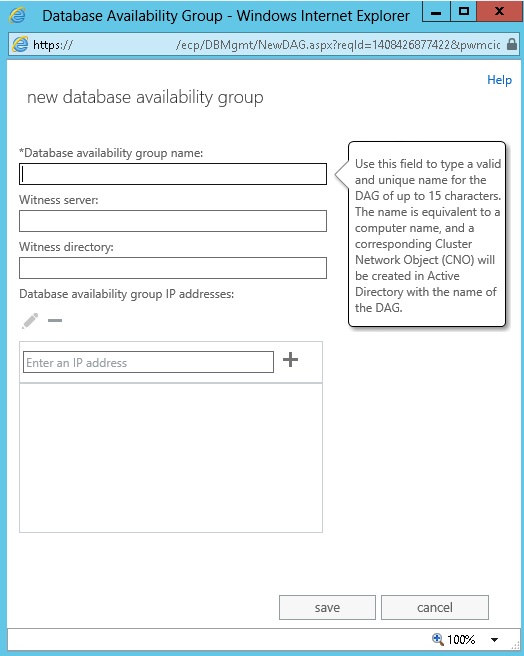 Create a computer account in Active Directory; you can call it EX2013DAG for example. Open up Active Directory Users and Computers. Make sure you have Advanced Features Enabled. Right click on the computer account just created and select properties. Click on the Security Tab. Grant the Exchange Trusted Subsystem Full Control. Add the DAG Members with Full Control. One NIC that has Internet Access. 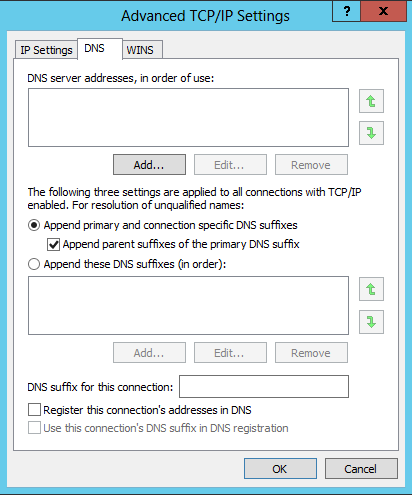 **Vitally important that you remove the checkbox that says “Registers this connection’s addresses in DNS on the Second NIC. Make sure that your Binding Order is correct with NIC 1 first on the list. For example, if you setup this server NIC 2 IP as 192.168.0.1 then your second server should be 192.168.0.2 with the same subnet. Remember that the Second NIC needs to be on a different subnet to that of your LAN. This is an IP address assigned to the DAG that is separate from the Server itself. 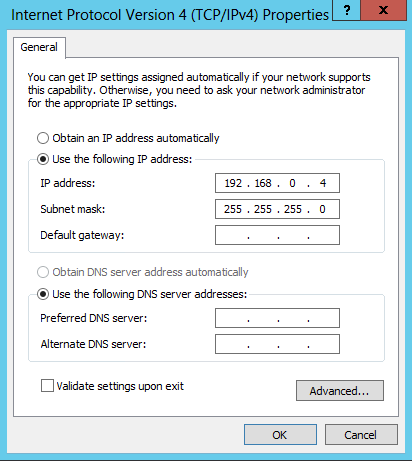 Reserve an IP address in DHCP or give it an IP that is part of an exclusion range. 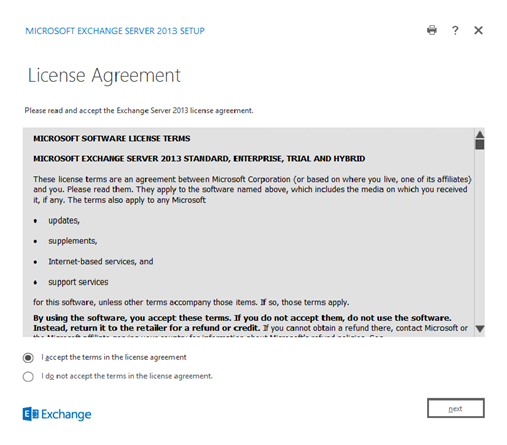 Best practice is to use an Exchange 2013 CAS server. 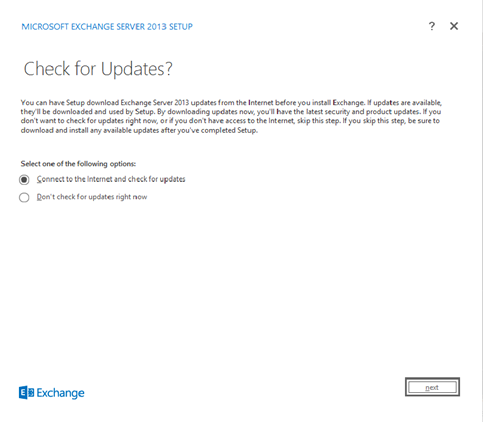 Any windows server will do, but you need to add the Exchange Trusted Subsystem as an administrator to that local PC before you can use it. Click on Organization Management and click the Pencil button next to the + button. Scroll down and by Members click the + button and add in the users that will be managing exchange. 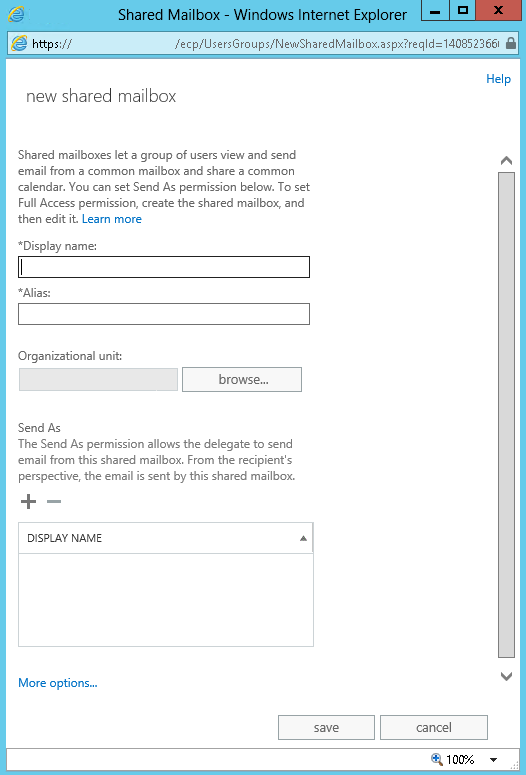 Click on “Outlook Web App Policies and modify or create a policy. You can also define user roles. 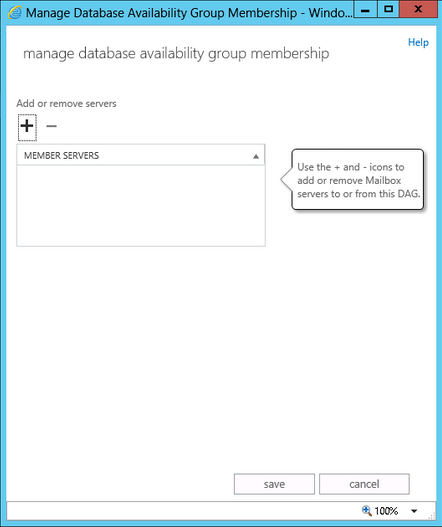 GUI Setup: Click on Servers -> Database Availability Groups -> + button. Once the command completes add in the second server. 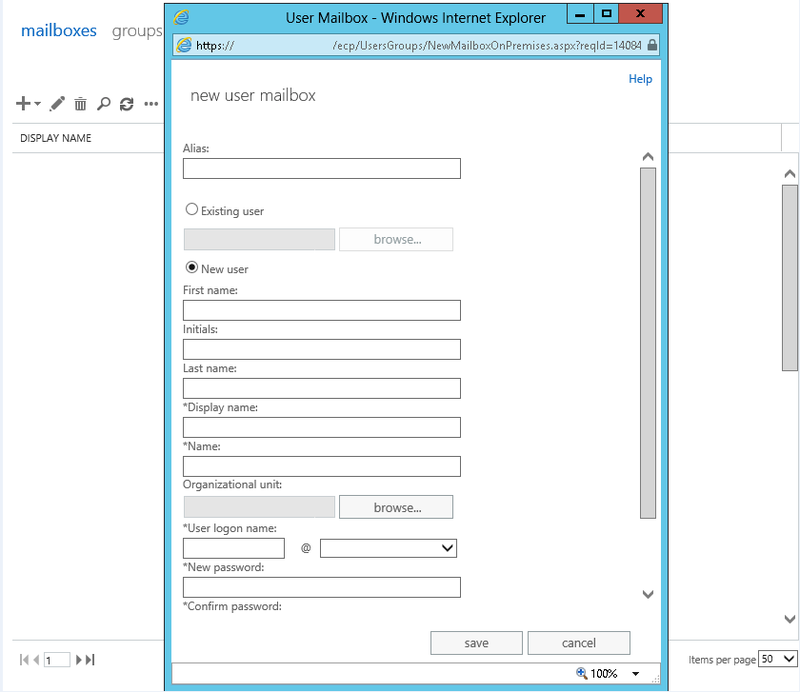 Now that your DAG has been created, you can add copies of mailbox databases to other mailbox servers. Click browse to select the server. 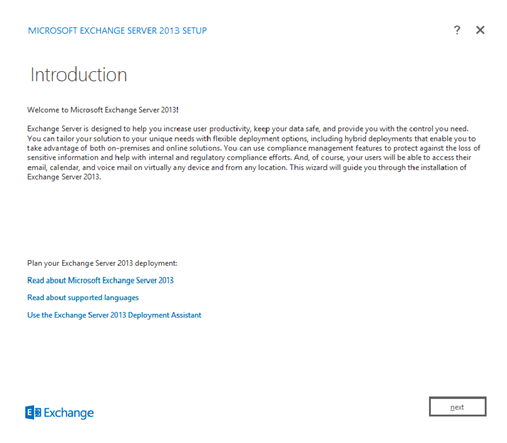 If you have a Database called Database1 you can add it to Ex2013b server as an example. GUI Setup: Click on Mailboxes -> + button -> User Mailbox. Enter in all the information for the user, you can also specify a specific mailbox database and whether or not to show/hide the user from address lists. 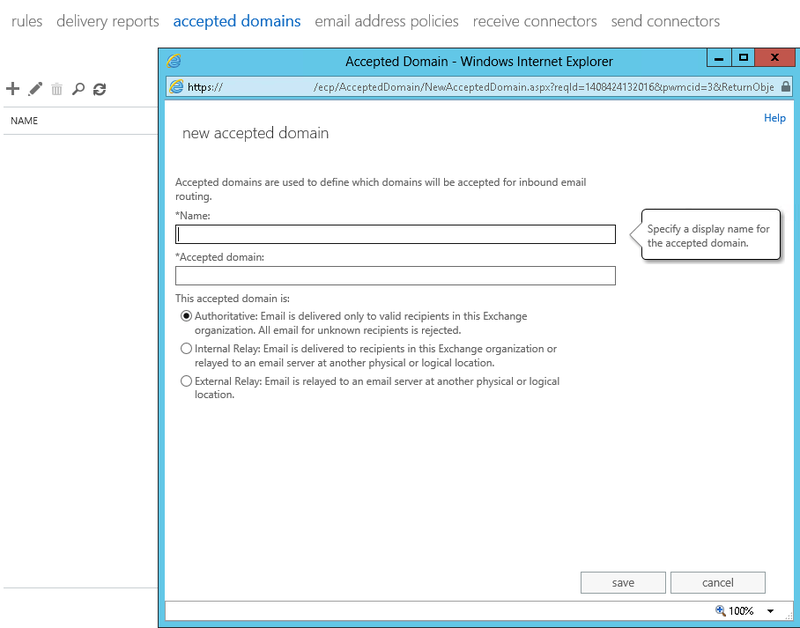 In the ECP click on Mail Flow -> Accepted Domains. Click the + sign to add in a new accepted domain. Type in the Name (descriptive). Select if this is either Authoritative, Internal Relay or External Relay. In the ECP click on Mail Flow -> receive connectors. Go to the security tab as shown above and make sure “Anonymous Users” checkbox is selected. 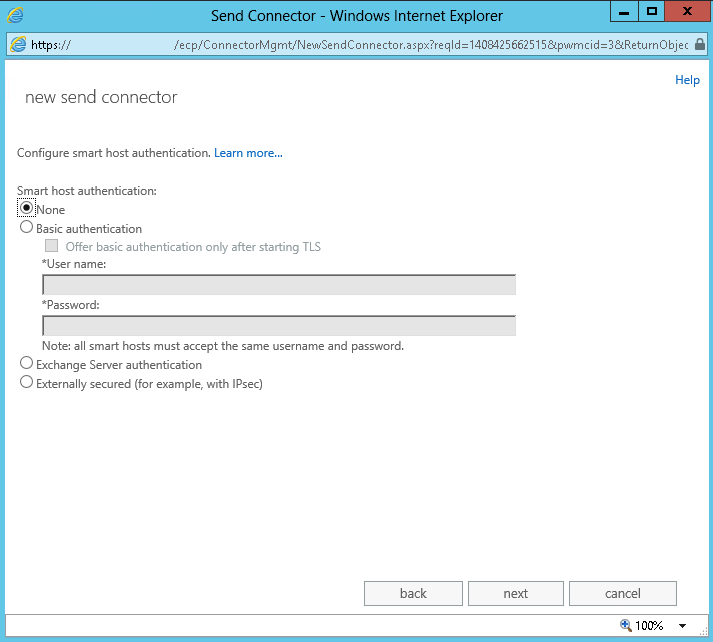 In the ECP click on Mail Flow -> send connectors. 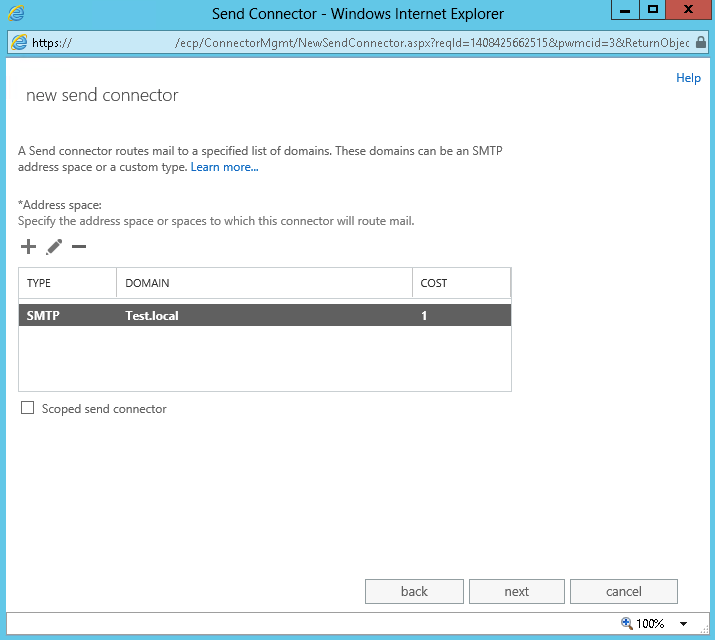 Click on the + to add a new Send Connector. Type in a descriptive name and then select the Type. 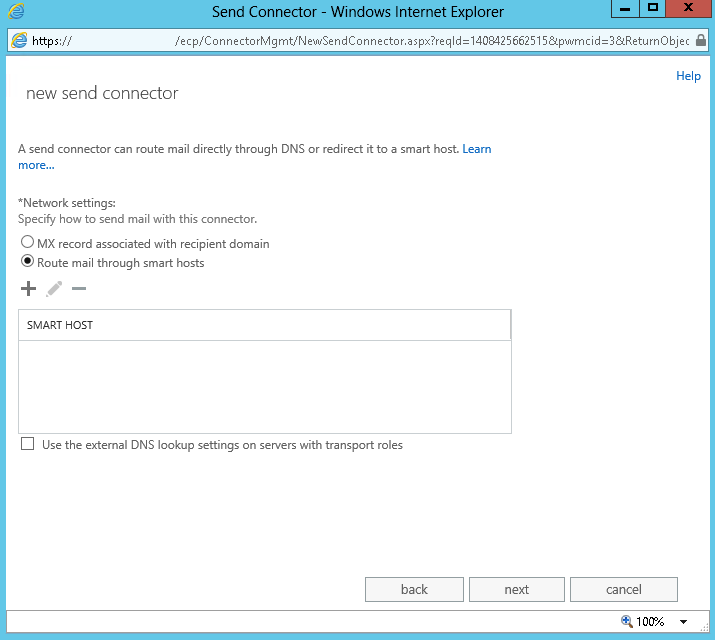 Select your Network settings, if you routing mail through a smarthost then click the + button. Type in the smart host info and then click save. Specify the authentication as per your ISP and click Next. 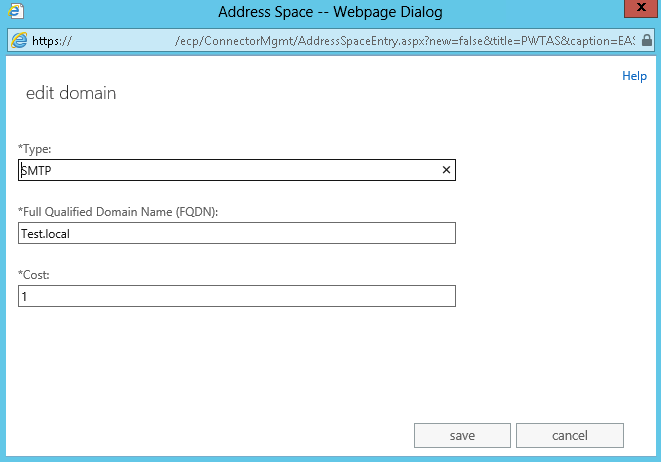 Click on the + button to setup the Address Space. Enter your FQDN and your Type. Click on the + button to add in a Source server. 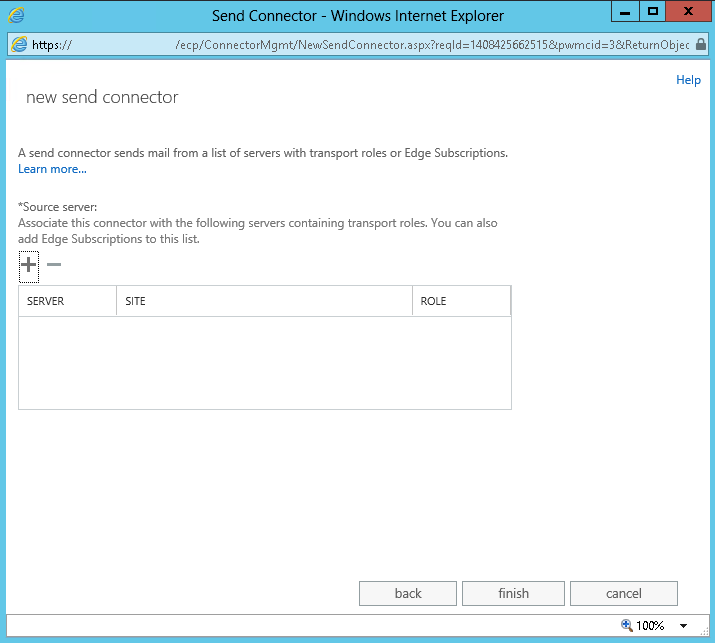 When the window comes up select your exchange server, click the Add -> button and then click ok.
Click finish and you have now have a send connector setup. 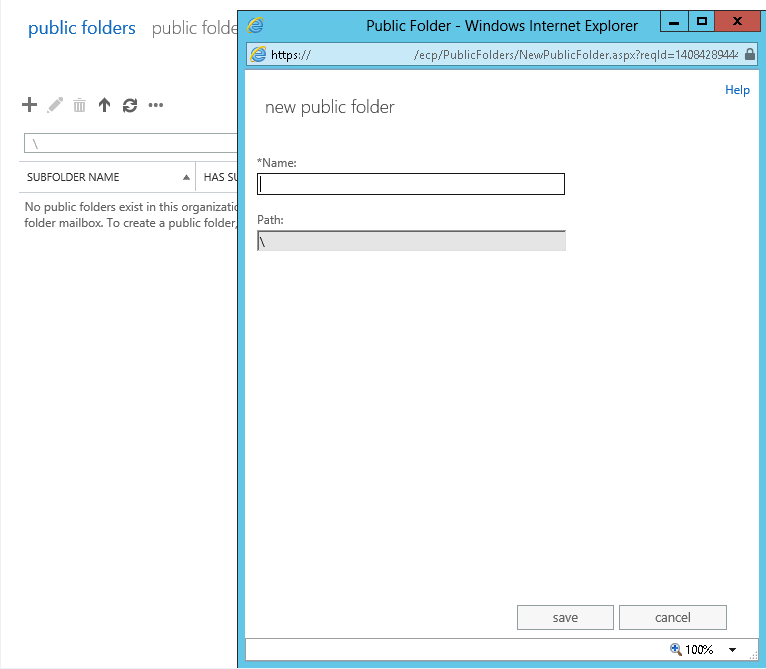 In the ECP click on Public Folders -> Public Folders Mailbox. Enter in the name for the PF Mailbox. Select an Organizational Unit by clicking the browse button. Type in a folder name. 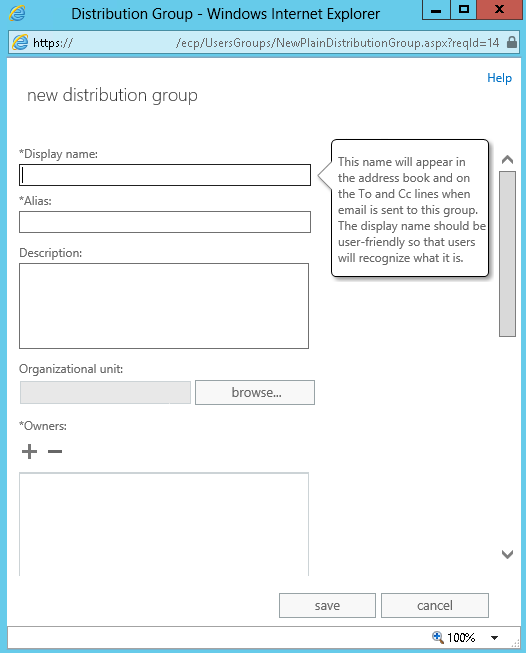 Click on the + button and select Distribution group. Click the browse button to add it to a specific OU. Click the + button to add a owner. click the + button to add in the members of this group. 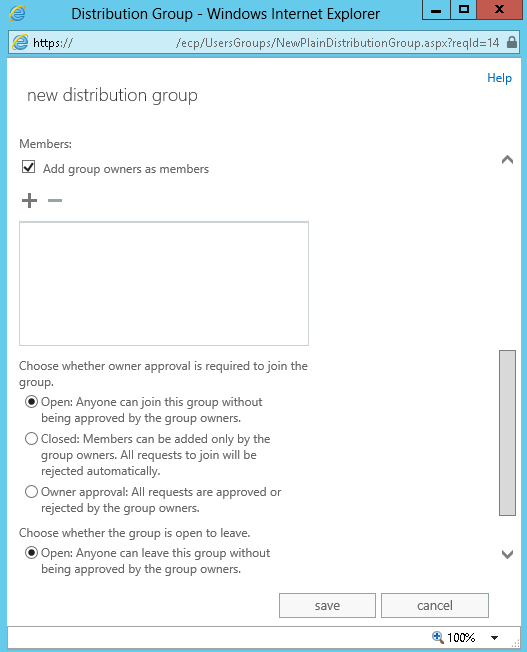 Select your option regarding the approval of this Distribution Group. 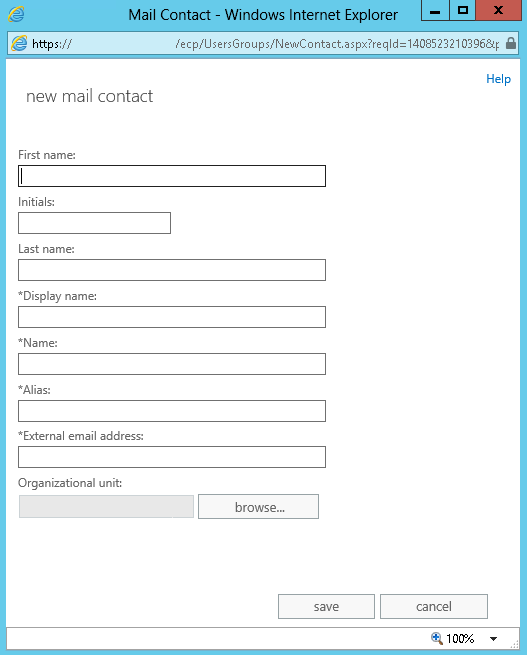 Click on the + button and select Mail Contact. Type in the information and then click Save. Enter in the Display Name and Alias. Click browse to select an OU. Click on the + button to grant Send As Permissions. If you click the More Options button you can set the Mailbox Database where this mailbox should be housed. You can also select a policy. This will give output the status, Message Count, DeliveryType and NextHopDomain. 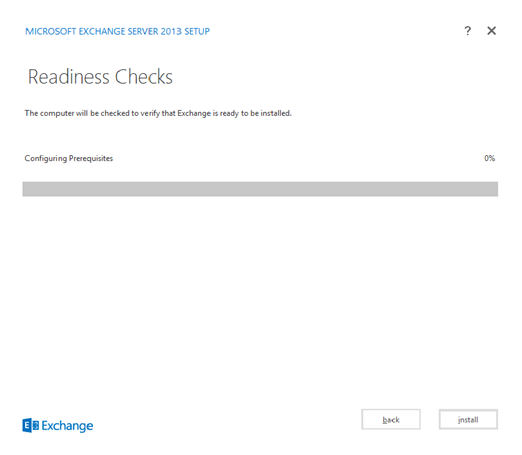 You can also use Exchange Queue Viewer located in the Exchange Toolbox.